If you would like to share your comments about ctfisherman.com, feel free to send me a Private Message (PM), or send an email to mitch@ctfisherman.com. You can remain anonymous if you like. "…at first I wasn't going to pay to play so to speak but, I'm finding the site to be a better quality product now that it is a pay site, there's no more arguing and bickering, although I don't post a lot I have gained so much info it isn't funny..."
"CTF is great. There are plenty of members who are willing to answer a beginner's questions and offer helpful and localized advice. If you want to become an angler instead of just a fisherman then sign up for CTF." -- Steve Z, new fisherman. "Even though there may not be as many reports being posted, I feel the quality of them are much, much better." -- Jim P., aka "Squeegeeking"
"I was on this site before it went to a pay site and now I think I like it better. I have met many new friends here and the events are top notch well run and these guys know how to eat (the cookouts and dinners are AWESOME). Need help with ANYTHING just ask and your questions are resolved. You can not get that with any other subscription. THANKS MITCH, A JOB WELL DONE." -- Bill Stevens, AKA "The Final Time Out"
"Although my wife and I don't post much, we thoroughly enjoy reading the reports/advice that people give. CTF has been an extremely valuable tool in our learning process in the waters of Connecticut. At less than $1.32/month, we find it to be a bargain, with the wealth of information we have access to. We will continue to subscribe year after year! Keep up the great work Mitch"! "Although I don't get out on the water very much I check the site several times every day getting my fishing "fix" that way. There is more information available on this site than the average person could ever hope to use and the best part is that it is local stuff by local people. Over time you even begin to feel that you know many of the members even though I may never meet them in person. Just as I tend to look forward to regular columns by writers in publications such as Outdoor Life I share the same anticipation when I see that folks like Michael of SW Ct, or Capt. Alewife, or Capt. Blaine Anderson, to name only a few, have submitted a new post. Where else can I find such passion for the sport and expertise that covers everything from a modest fisherman to a professional with a local viewpoint? The cost of joining is a small price to pay for what I get in return. I thank not only you but all of the CTF members for making this site what it is. Keep up the great work." "I was a member for a couple of years before CTF went to a paid format and as good as this site was back then, it is FAR better now. There is no longer all the arguing and sniping that took place all too often with the old format. While this was still a great site, that sort of thing most definitely detracted from fully enjoying it here. It would certainly appear that most of the issues were caused by those that foolishly decided not to become paid members for whatever reason. Their loss has certainly been a gain for the rest of us since there is no longer any of that sort of nonsense happening for the most part. This is a terrific site and I fully intend to continue renewing my subscription every year! Thanks again Mitch!" "ctfisherman.com provides me with accurate, reliable, up to the minute information about fishing local new england waters. 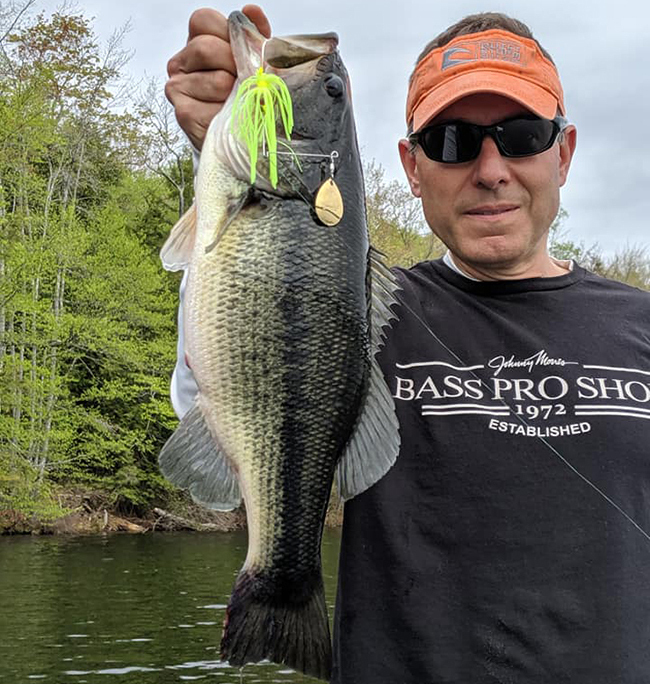 From jerkbaiting big pre-spawn spring smallmouths at Lake Candlewood, to dunking crabs on the heels of a nor'easter for November blackfish, the community at ctfisherman.com shares tactics and advice, allowing me to maximize my time on the water. I've made over a dozen new fishing partners, each as dedicated and serious about fishing as myself as a result of the site. I've seen my catch own rates rise beyond calculation, my phone rings with site members giving results of morning/evening trips all day long, and i now fish for a multitude of species-successfully!